The RE Original Print Show is currently on at the Bankside Galley in London. 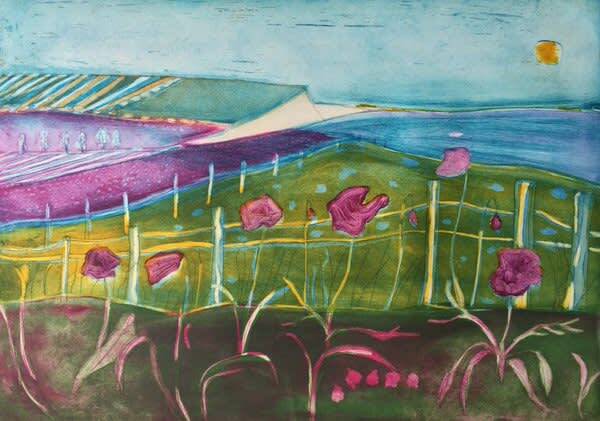 It shows new works by select leading printmakers and several prizes are awarded. We are very pleased to see many of our artists exhibiting, among them Angie Lewin, Trevor Price as well as Louise Davies who won the Heatherly Studio Prize. Congratulations Louise! The exhibition continues until 4 June.